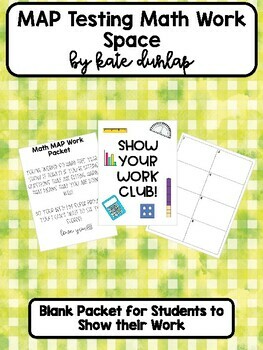 Using this MAP Math Work Space Packet, students will have a designated space to show their best work on the MAP Test. Your students need space to do their work on the MAP test. 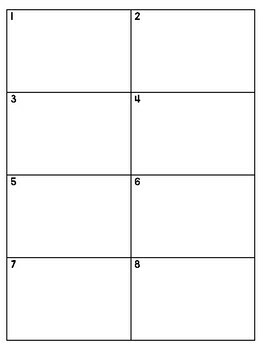 This resource will give your students the space to show their work for every question. You can use this pack as motivation for your students to show their work. 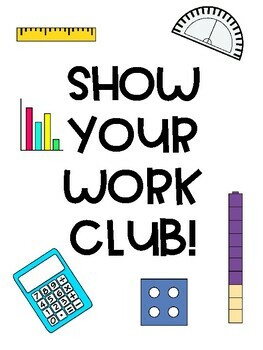 If students show their work for EVERY question, they can join the SHOW YOUR WORK CLUB. Simply hang the poster on a window, bulletin board, wall, any blank space. Then, write students’ names who show their work. In no time, your students will be showing their work and taking their time on the MAP test. 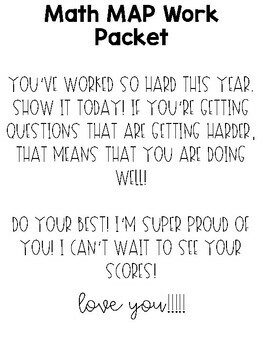 I’ve also included a sample of the note that I give my students during the MAP test. You can use my note or write your own! Your students will love to hearing from you and knowing that they have your support!